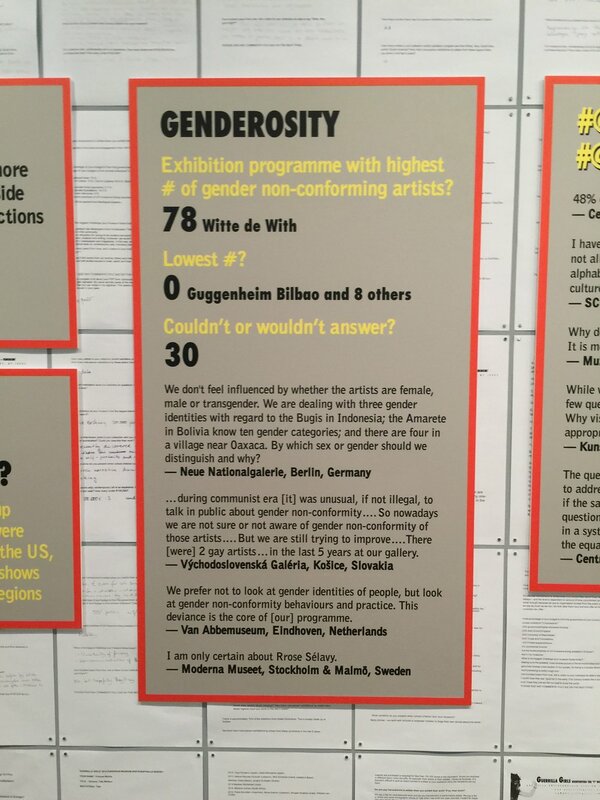 Guerrilla Girls: Is it even worse in Europe? explores diversity in European art organizations. It presents responses to questionnaires sent to 383 directors about their exhibitions program and collections. The questions were formulated to critically look at the narratives that are produced by cultural institutions. All the completed questionnaires became part of a traveling exhibition Guerrilla Girls: Is It Even Worse In Europe and a book - check out both here. After Whitechapel Gallery, the show traveled to Turkey and Sweden.